Tedx PCC will be a gathering of leading thinkers and doers who will share in an inspiring and thought-provoking experience. During this full day immersion, presenters will give the “talk of their lifetime” and share innovative and motivating stories. Between sessions, the audience will have opportunities to mingle, connect, and explore more ideas worth spreading. 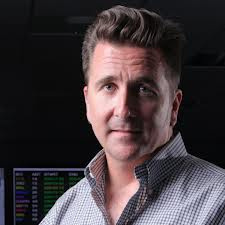 Adam Steltzner has a bachelor’s degree from the University of California at Davis and a master’s degree from the California Institute of Technology. Steltzner is the chief engineer and development manager for the Mars Science Laboratory focused on entry descent and landing phase. He was in charge of all the mechanical engineering elements of entry, descent and landing for the Mars Exploration Rovers. In 2004, he was featured on the NOVA episode “MARS Dead or Alive,” which chronicled the process that ultimately delivered the rovers Spirit and Opportunity to Mars. Steltzner says today’s engineers must think critically to extend their skills and influence outside their specific area of expertise. Saru Jayaraman is the co-founder and co-director of the Restaurant Opportunities Centers United (ROC-United) and director of the Food Labor Research Center at UC Berkeley. After 9/11, Jayaraman co-founded ROC in New York, which has encouraged restaurant workers to win workplace justice campaigns, conduct research and policy work, partner with responsible restaurants, and launch cooperatively-owned restaurants. ROC now has 10,000 members in 19 cities nationwide. Jayaraman is a graduate of Yale Law School and the Harvard Kennedy School of Government. She was profiled in the New York Times "Public Lives" section in 2005 and has been recognized as one of Crain's "40 Under 40" in 2008, 1010 WINS's "Newsmaker of the Year," and one of New York Magazine's "Influentials" of New York City. Jayaraman co-edited The New Urban Immigrant Workforce (ME Sharpe, 2005) and has authored Behind the Kitchen Door, forthcoming from Cornell University Press. 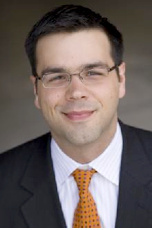 William Pomerantz is a graduate of Harvard University, the NASA academy, and the International Space University. From 2005-2011, he worked at the X Prize Foundation, the world-leading incentive prize organization. As Senior Director of Space Prizes, he served as the primary author and manager of the $30 million Google Lunar Prize and the $2 million Northrop Grumman Lunar Lander X CHALLENGE. 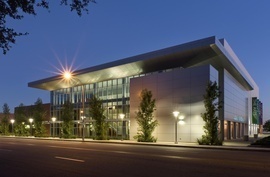 Pomerantz has worked at Harvard and Brown Universities, the Futron Corporation, and the United Nations. He was the co-founder and Editor in Chief of SpaceAlumni.com, and is currently the vice president for Virgin Galactic, the world’s first commercial spacecraft service for private, civil, and scientific passengers. Olympia LePoint is best known for her role as an award-winning rocket scientist, keynote speaker, author, and TV personality. As an internationally-recognized leader within the scientific community, LePoint helped design and build space rockets, launching a total of 28 NASA Space Shuttles from 1998-2007. LePoint was involved in the launching of NASA’s Endeavour, Discovery, Columbia, and Atlantis Space Shuttles. 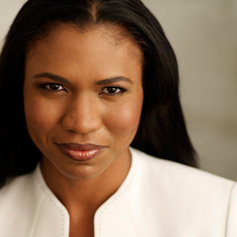 She won The 2004 Boeing Company Professional Excellence Award, and The 2003 National Black Engineer of the Year "Modern Day Technology Leader" Award. While teaching as a part-time math professor, LePoint discovered Mathaphobia, a learning disability and fear linked to the amygdala part of the human brain. in 2013, she published the book, Mathaphobia: How You Can Overcome Your Math Fears and Become a Rocket Scientist. LePoint specializes in helping audiences triumph over obstacles through “brain reprogramming.” She holds a Bachelors of Science Degree in Mathematics, and a Master’s of Science Degree in Applied Mathematics from California State University Northridge. LePoint travels nationally to deliver keynote speeches, host television shows, and is about to produce a new children’s educational science TV show, Solve with Olympia. 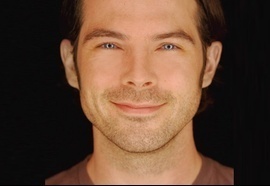 Brent Bushnell is the CEO of Two Bit Circus, a Los Angeles-based "make tank" focused on building products at the crossroads of amusement and education. The interdisciplinary team strives to make entertainment more enriching, and education more fun. Most recently Two Bit Circus launched STEAM Carnival, a modern reimagining of the midway to inspire kids about science, technology, engineering, art and math. Bushnell has been the on-camera inventor for the ABC TV show Extreme Makeover: Home Edition, and the CEO of Doppelgames, a mobile game platform company that sold to Handmade Mobile in 2012. He is a founder of AntiAging Games, a company creating casual games that reduce the risk of early memory loss. He is also a founder of Syyn Labs, a creative collective combining art and engineering to create high engagement for large brands and bands including Google and Disney. Syyn Labs was responsible for Rube Goldberg and OK Go’s viral music video that garnered 40 million views on YouTube. In his spare time, Brent mentors teens in game development and entrepreneurship via programs such as Spark and NFTE. Eric Gradman, is a cofounder, CTO & Mad Inventor of Two Bit Circus. He holds a master’s degree in Computer Science from USC, and considers himself an artist, entertainer, and inventor, who makes others see technology as magic. He has a colorful history as a circus performer, professional whistler & roboticist. For 15 years he has designed and built cutting-edge technology products including 3d-touch displays, virtual reality systems, satellite control systems, intelligent robots, concept cars, assistive devices, and other crazy games. He is at the forefront of a revolution in personal manufacturing tools that make inventing accessible to all. He is also one of the brains behind STEAM Carnival. Gradman has been an on-screen inventor for ABC's Extreme Makeover Home Edition, a talking head for Outrageous Acts of Science (Discovery Science), and as a special guest on several shows including Invention: USA (History), and The NEXT List (CNN). His interactive artwork has been exhibited at LACMA, Sundance Film Festival, The Leonardo, Mindshare.LA and the TED Conference. Gabriela Valle is senior director of community education & mobilization with California Latinas for Reproductive Justice (RJ). In her current work, Valle builds relationships with individuals and organizations in support of comprehensive RJ approaches to policy issues such as Sexual Health Education, Supporting Pregnant and Parenting Youth, Choices, and Ballot Initiatives impacting Latina/o communities. She conducts workshops and trainings for organizations, conferences and universities about the intersection of Gender, Sexualities, Race and Immigration, Self-Care, Women’s Empowerment, and Re-thinking Views on Young Mothers/Parents. Valle is trained in Augusto Boal's Theater of the Oppressed and is a certified Hatha Yoga instructor. She transferred from Los Angeles City College to UCLA to study at César E. Chávez Department of Chicana/o Studies. Valle proudly serves on the Board of Directors for the Center for Young Women's Development. J.PERIOD, praised as a “music guru” in the latest edition of Rolling Stone Magazine and called one of the “world’s Top DJ’s” by The New York Times, J.PERIOD’s vast musical repertoire bridges cultures, generations and styles, making his signature sound the perfect compliment to the Nets’ new Barclays Center home. A veteran in moving large crowds, J.PERIOD has served as official Tour DJ for artists including Lauryn Hill, The Roots, Q-Tip and international icon K’NAAN, performing at venues from NYC’s Central Park Summerstage to Johannesburg’s Coca-Cola Dome. In his new role with the Nets, J.PERIOD is both curator and producer, creating an exclusive library of remixes for the team—an NBA first. J.PERIOD’s resume of remix and production credits includes work with Grammy-winners including Kanye West, Joss Stone, John Legend, and Mary J. Blige, and his “audio documentary” mixtape series (the latest, “Rage Is Back,” in support of best-selling author Adam Mansbach’s book of the same name) has won numerous accolades and awards. J. Period will be performing “The Art of the Crossfade” with Josh Kun. Josh Kun is a writer, music journalist, curator, and professor in both the Annenberg School for Communication and Journalism and the Dornsife College’s Department of American Studies and Ethnicity at USC. Josh’s research focuses on the arts and politics of cultural connection, with an emphasis on popular music, the cultures of globalization, the US-Mexico border, and Jewish-American musical history. Josh’s articles have appeared in numerous scholarly journals, anthologies, and exhibition catalogues, covering everything from the music of the Mexican border and the lost histories of Jewish mambo and Jewish jazz, to African-American and Latina/o musical exchange in Los Angeles. He has written the liner notes to CDs by Herb Alpert and the Tijuana Brass, Sammy Davis Jr., and Maldita Vecindad. His journalism on the US-Mexico border earned him a 2007 Unity Award in Media and made him a finalist for a 2007 Southern California Journalism Award. Josh currently serves on the board of Dublab and on the editorial boards of American Quarterly, The International Journal of Communication, Boom: A Journal of California, and The Journal of Popular Music Studies. He has also worked as a consultant and curator with Walt Disney Concert Hall, The Autry National Center, and the Santa Monica Museum of Art. Wenli Jen, Ed.D. is an educational consultant, motivational speaker, writer, community leader, business woman, non-profit program director, and recipient of the 2013 Woman of the Year award for the 49th Assembly District of California. As a second generation Chinese-American woman, Dr. Jen has spoken about cultural competency, race and privilege, and other related topics at national and state conferences. Her expertise in human development, psychology, and education has made her advice invaluable to many communities. Dr. Jen holds a doctorate in Educational Leadership from USC, a master’s degree from Harvard University, and bachelor's degree from UC Irvine. Dr. Jen is also a licensed esthetician and credentialed teacher. She has two published stories in the Asian American anthologies Pho for Life and Miso for Life. Dr. Jen is the 2012 Woman of the Year for the 24th Senate District of California. Eric DelaBarre is an award-winning author, filmmaker, speaker, and bestselling ghostwriter for Random House/Harmony Books. DelaBarre began his career with Universal Studios on NBC’s mega-hit drama, Law & Order. His work has been sold around the world and has been showcased on HBO, Cinemax, Showtime, Starz/Encore, USA Networks, and NBC. He is a former president of the Boys & Girls Club Council of Santa Monica and travels the country as an inspirational speaker focusing on children’s literacy. His children's adventure novel, Saltwater Taffy is a gold medal recipient for the Gelette Burgess Children's Book Award and the Reader's Favorite Award as well as an Accelerated Reader title endorsed by 12 Teachers of the Year. Jodi Sagorin is a future physician and initiator of mini non-profit projects around the world. Sagorin started her journey by turning down an opportunity to study at NYU in favor of working in rural Uttar Pradesh, India. Most recently, she led a campaign to raise full-tuition scholarships for five young Haitian students who wish to study nursing. When Sagorin is not working or studying, she loves skydiving, surfing, teaching yoga, and playing fetch with her scrappy one-eyed rescue puppy. Above all, Sagorin is passionately curious. She is interested in the social good, patient care, medical/STEM education, and bringing delight to every new project. Keisch "Foci" Wilson is a former High School teacher and musician having taught at Pasadena's Blair I.B. School and John Muir High School. A staple within the community, Foci also helmed an after school program for the artistically and musically inclined youth of the San Gabriel Valley. Although he is no longer in the classroom, Foci continues to advise and mentor the city's youth while also sharing the stage with legendary artists such as Mos Def, DJ Premier, and Wu Tang Clan. Foci's music has been featured in the AMC Channel's Low Winter Sun, Eminem's Shade 45 Sirius/XM, and many other outlets. "I'm able to speak to a wide audience of people. The potential of my message and its reach knows no bounds. It's truth and and brutal honesty without being profane. The content is unique and it's something that can be applied to everyone." Oliver Sicat is CEO & President of Ednovate, the charter management organization that oversees USC Hybrid High School, a public charter school designed and built by the USC Rossier School of Education. Sicat is the former Chief Portfolio Officer for Chicago Public Schools and the founder of the University of Illinois at Chicago (UIC) College Prep, a campus of the Noble Street Charter Schools. Sicat has been a math teacher in Los Angeles, Boston, and Chicago, and was also named Boston Teacher of the Year in 2006. Sicat holds a master’s degree in education from Harvard University. Charles Yarborough, MD, MPH, FACOEM, FACPM, is the Director of Medical Strategies for Lockheed Martin Corporation (LMC) based in Bethesda, Maryland. Dr. Yarborough has over 20 years of experience in guiding health initiatives for several corporations, including Exxon and Caterpillar, and as a private practice physician. Dr. Yarborough holds active medical licenses in Maryland, New York, New Jersey, Texas, and Alabama. He is on the medical staff at Johns Hopkins Medicine Suburban Hospital, and is an Associate in the Johns Hopkins University School of Public Health. Dr. Yarborough is also an adviser for the medical residency training program at Johns Hopkins University Medical Center, and an appointed member of the Operating Model and Insurance Rules Committee for Maryland’s Health Insurance Exchange Board. Dr. Yarborough has held clinical appointments as Chief Physician of the Veterans Administration Health Care System and at the University Medical Center at Princeton. Dr. Yarborough has also served on a health advisory committee for U.S. Environmental Protection Agency, reporting to the Director. Mike Marinoff is a small business consulting expert with a background in staffing, recruiting, hiring, career development and economic partnerships. Marinoff works extensively with local entities, colleges, universities and job seekers to develop opportunities with local, national and international employers. A seasoned executive with over 20 years of experience, Marinoff leverages his extensive background and expertise to architect innovative solutions that help his clients achieve key organizational objectives and maintain a competitive advantage. He has been featured in multiple media outlets, including CNN Headline News. Marinoff currently manages three start-ups while raising his daughter, Alivia.